New guns for Russia’s cops – so what? A piece of news which might seem of interest only to the gun-nut and the real obsessive actually has rather greater significance: the Russian police are phasing out their old Makarov pistols and Kalashnikov rifles with new weapons. So what? Let me explain. In the 1990s, Russia’s police had to cope with rising violent crime – especially that connected with organised crime – as well as shrinking budgets and declining public respect. Regrettably but understandably, they responded to this lethal combination of pressures by retreating into a form of bargain-basement paramilitarisation. Increasingly, police officers appeared festooned with army-surplus Kalashnikov rifles and bulky (and not very efficient) body armour. Even special armed-response police will generally have different tactical requirements than soldiers, and putting combat weapons designed specifically for delivering inaccurate but devastating salvos of automatic fire into the hands of nervous and poorly-trained officers proved often disastrous and tragic. More perniciously, they responded to the very real perils on the street with suspicion and disengagement, too often abandoning any pretence of being protectors of the public and instead patrolling at speed and with the kind of paranoia more in keeping with policing Kabul or Baghdad. The result was a vicious circle, with the public ever-less favourably disposed to police officers who seemed to treat them all as threats and the police developing a culture of injured betrayal. It also acted as a serious obstacle to recruiting and retaining good-quality personnel, especially as the private security industry boomed. Even senior police officers did realise this, and recent years have seen attempts to address this. Beyond a general improvement in the MVD’s budgets in line with the upturn in the state budget overall, there have been a variety of local initiatives but there has been relatively little done on a national level. (Reform is also very slow: it was only with Federal Law no. 69-FZ of July 20, 2004 that the police officially shed a role, long since ignored, of registering colour copying facilities, a relic of the Soviet regime’s paranoia about the use of copiers to spread subversive literature.) The replacement of the police’s old Makarov pistol with the new Yarygin PYa ‘Grach’ and their Kalashnikov AKM-47 rifles and AKS-74U assault carbines with PP-2000 and PP-19 ‘Vityaz’ submachine guns actually does count as one such genuine reform, however drily technical it may sound. The Makarov is a dated and underpowered design, compact but hardly impressive. A sound piece of advice I once heard was that its effective range is about as far as you could throw it. As such, it is a weapon which lacks authority on the streets. Hardened criminals were not overawed by it, the police themselves were not reassured by it. As a result, it was often ignored in favour of rifles and SMGs really designed for war. By being armed with a reliable, modern and more powerful pistol, Russia’s police can be encouraged not to escalate confrontations or, worse yet, use the inaccurate and indiscriminate weapons they otherwise had to carry as fall-backs. 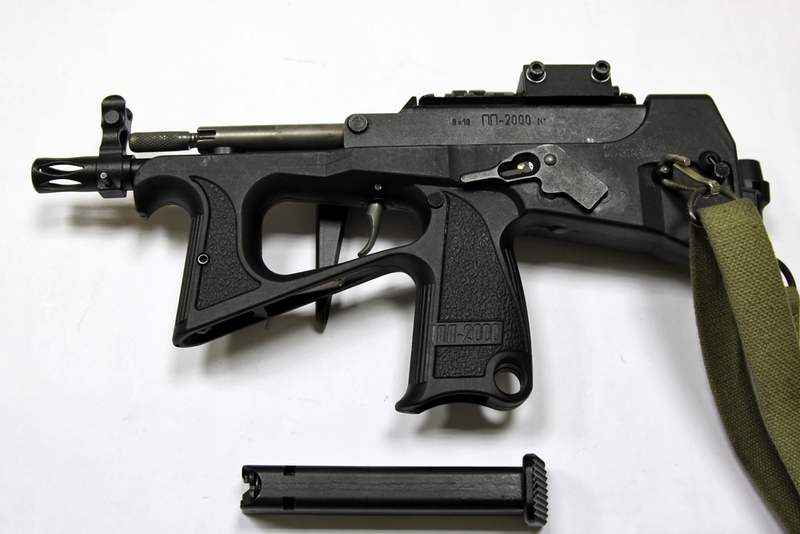 Likewise, the PP-2000 is a compact but effective weapon, which gives the police greater firepower without being so obtrusive and overtly military. 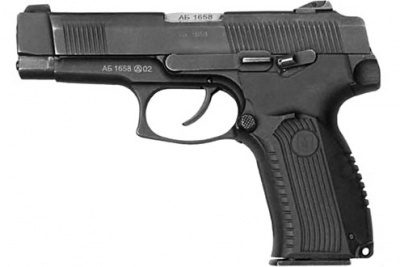 More to the point, the 9mm ammunition it fires has good stopping power but is much less likely to punch through a wall and hit some innocent bystander on the other side. The PP-19 looks much like the military AKS-74U it will replace, but again fires more controllable 9mm rounds. According to First Deputy Interior Minister Lt. Gen. Mikhail Sukhodolsky, re-equipping all the police will take upwards of three years. What I haven’t heard yet is how much training will go with it (for armed police, the Russians are woefully under-trained in use-of-weapons, which is more a matter of knowing when not to shoot and how to make sure you only shoot who you are aiming at), but it nonetheless is a first step back from paramilitarisation. Of course, there is a lot more to be done, and most of it is cultural. But it represents one of the first practical steps away from the paramilitary model of policing which came to dominate in the 1990s and as such, even if it sounds just like new toys for the boys, it should be welcomed.